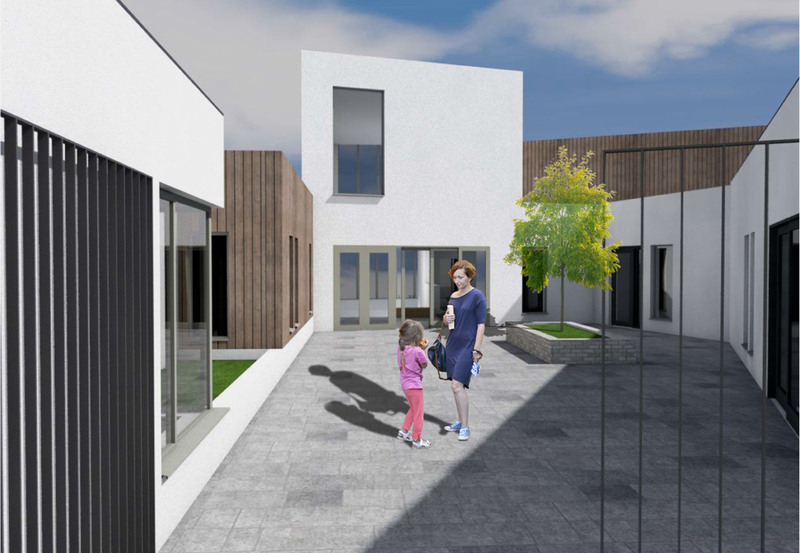 Neighbourhood Renewal Investment funding of £1million will go towards the capital costs of a new community centre which will be located in the Top of the Hill area of Derry. The new Community Centre project has been developed in partnership with Derry City and Strabane District Council and the voluntary and community sector through the local community based group Hillcrest Trust over many years. The new community facility will provide enhanced community space, a full programme of activities and opportunities for all ages of the local community. There will be a dedicated Youth wing offering social spaces and games room. The main building will house a multi-purpose hall, reception area and meeting rooms that will be available for training, community bonding and various health programmes on offer to the wider community. The investment will ensure the community centre provides better access to services and opportunities for people living in this area, their families and the wider community. Since the closure of the former Top of the Hill (TOTH) Community Centre in 2012 and subsequent demolition in 2016, the local area has not had a dedicated community centre. A temporary community hub has been utilised at the former Immaculate Conception site. The project is estimated to cost £2.3million. Derry City and Strabane Council is leading the development of the project and has committed £1.3million to the project. Derry City & Strabane District Council (DCSDC) in conjunction with other stakeholders and local community groups developed a master plan for the regeneration of the area which included a new purpose-built community facility. Media enquiries to DfC Press Office on 028908 23510 or email press.office@communities-ni.gov.uk. Out of office hours please contact the duty press officer on 02890378110.